With the start time of 11:30 a.m. on Saturday, December 14th for the first State Championship game, this reception invite allows you and a guest to enjoy a meal, mingle with fellow coaches as well as the 2013 Classification Coaches of the Year, Warrick Dunn Captain in the Community of the Year and the Lifetime Achievement winner. Additionally, you will have the opportunity to win a number of prizes for your outstanding commitment to the sport of football. 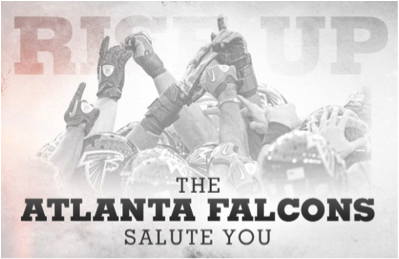 As in previous years, the Atlanta Falcons would like to extend the opportunity to the first 50 coaches that R.S.V.P for the reception to receive two tickets to the Falcons vs. Carolina Panthers game on Sunday, December 29, 2013 at 1 p.m. at the Georgia Dome. If interested, please make sure to mention when you R.S.V.P. and Derek Hooper will follow-up with a confirmation of attendance and tickets. Should you decide to stay in Atlanta, we recommend the following hotels within six blocks of the Georgia Dome: Omni at CNN Center (404) 659-0000, Embassy Suites (404) 223-2300, Residence Inn by Marriott (404) 522-0950, and Quality Hotel (404) 524-7991.